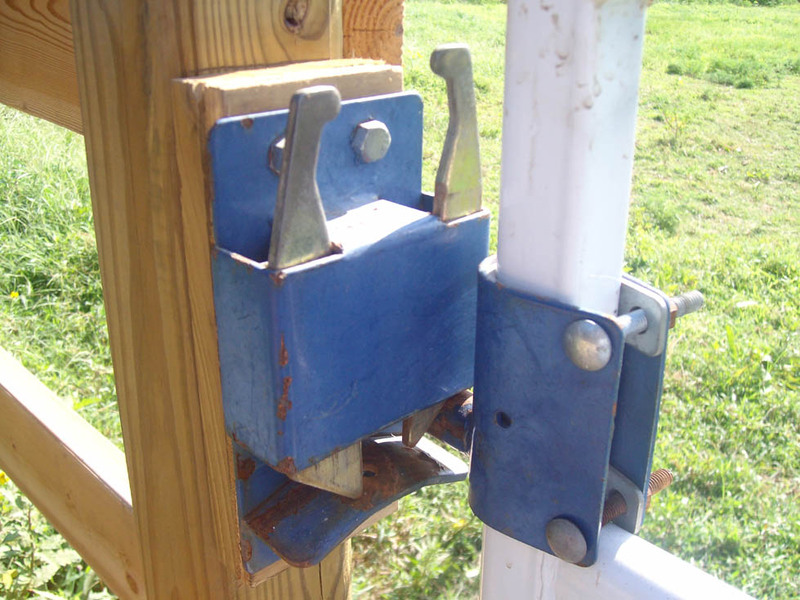 This is my all-time favorite gate latch – it can be opened and closed with one hand, which allows you to carry hay or a bucket without putting anything on the ground and swings both directions. This entry was posted in Barn Design and tagged photos. Bookmark the permalink. 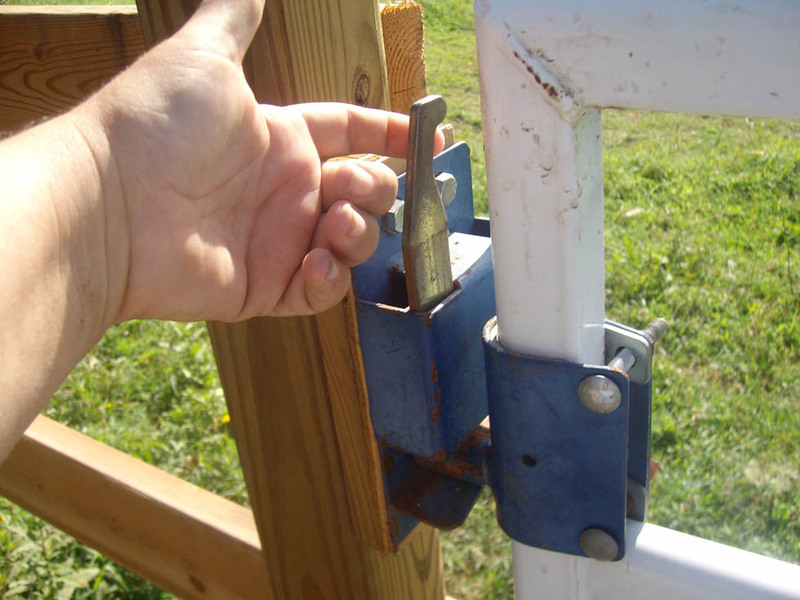 Another thing I like about this latch is that you can close the gate no-hands: just give the gate a shove to swing it closed, and it latches automatically. 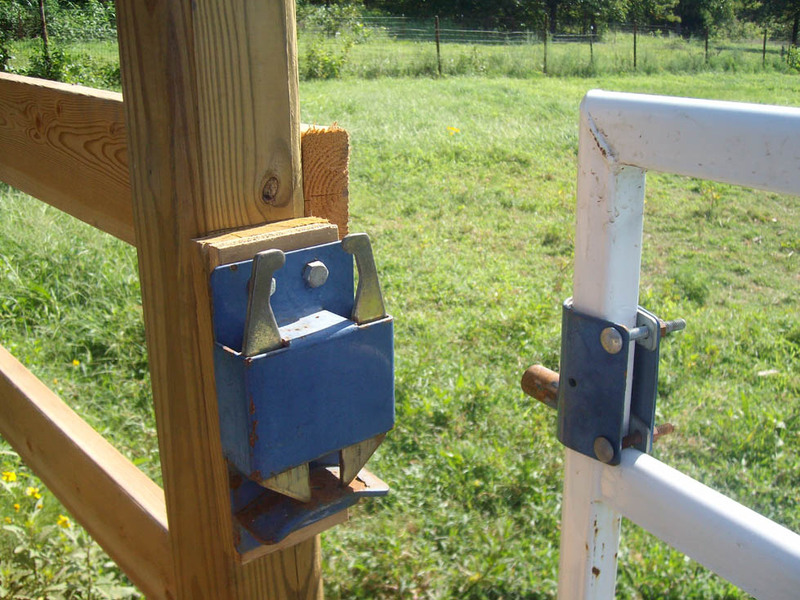 This latch though would not be good for those horses who like to use their mouth to nose it up to escape! !